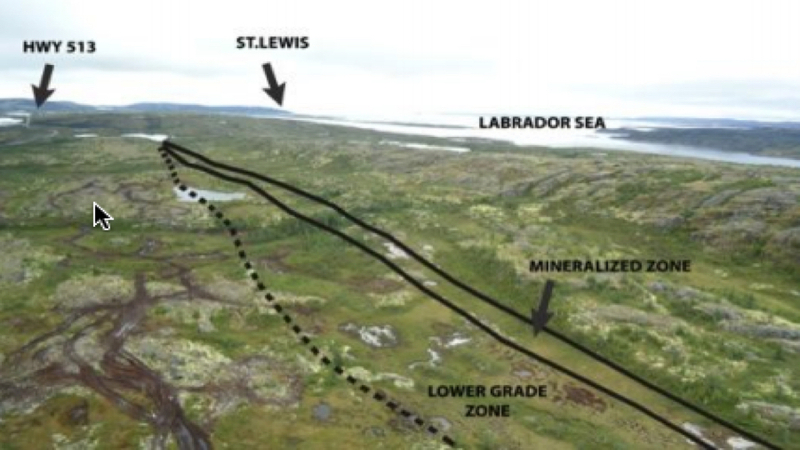 Search Minerals, a mining and exploration company, is making plans for a rare earth elements mine on the southeast coast of Labrador. The company, based in both British Columbia and Labrador, discovered the Port Hope Simpson Rare Earth Element District, a belt in the area about 70 kilometres long and up to eight kilometres wide. Search Minerals president Greg Andrews said the company has received a preliminary economic assessment on its "Foxtrot" project, in the Fox Harbour area, to see if it's economic to move into production. "We believe that we can be financeable at a cost of $152 million. In the rare earth space, that's quite a low number for an initial capital cost compared to other projects," Andrews said.